Eating healthy does not have to mean bland, flavorless food. Rather, you can use fresh, simple ingredients and seasonings to prepare delicious recipes. Today I had one of my favorite dishes, shrimp burritos. The meal takes less than 10 minutes to make and can be prepared in advance to save time. Give the recipe a try and let me know what you think. Spray the bottom of a small skillet with Trader Joes olive oil spray. Add chopped onion, jalapeño pepper, and garlic powder over medium heat. Add the thawed shrimp and Pico de Gallo. Reduce heat, cover, and sauté for 3 minutes. 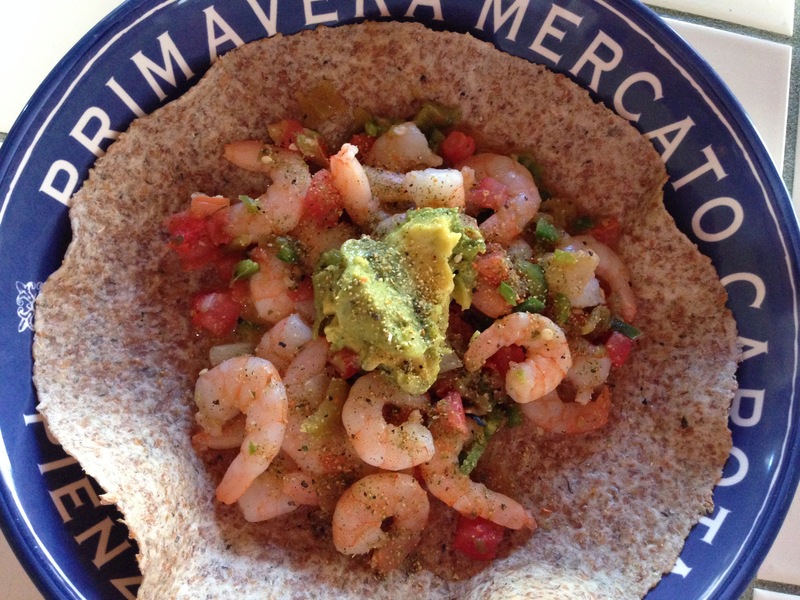 While shrimp is simmering, roll an Ezekiel tortilla in a damp paper towel and heat in the microwave for 30 to 45 seconds. Serve shrimp mixture on top of the tortilla and garnish with chopped cilantro and guacamole. I usually also have a side salad with a sprinkle of balsamic vinegar to complete the meal. 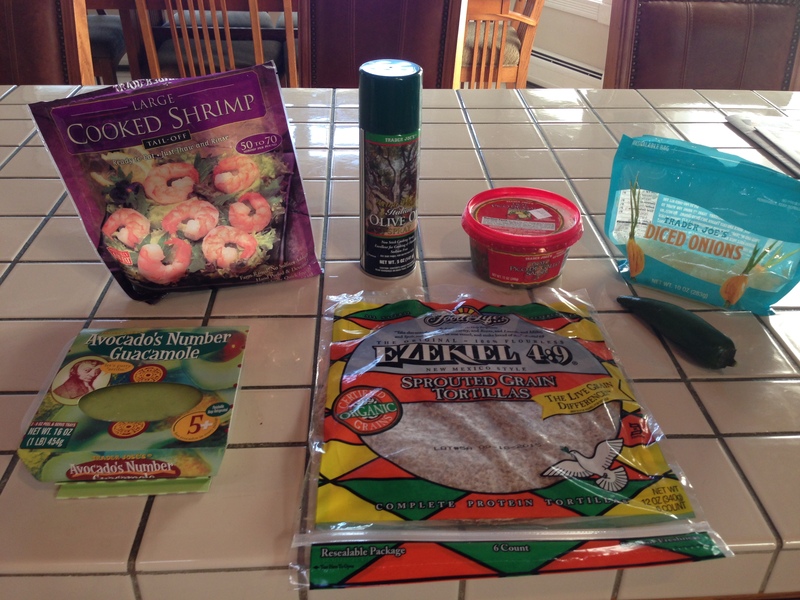 This entry was posted in Recipes and tagged Healthy Food Nutrition by carolcovino. Bookmark the permalink.